The LMW201H employs a 20" 1680x1050 TFT LCD screen of exceptionally high quality with up to 178 o Wide viewing angle.The LM201H is multi-format LCD monitor capable of monitoring HD/SD-SDI, video, Y/C, YPbPr, HDMI, VGA, DVI video as well as analog and embedded audio. With our top-end image processing technology, the LMW201H offers superb display quality for all standard signals. Problems such as inter-field "jaggies", mosquito, smear and blending are minimized with advanced motion adaptive algorithm. In this process, motion of each pixel is analyzed for any movement using a motion adaptive processes (3D) for changes in horizontal, vertical, and diagonal directions. Signals can also be viewed in the native resolution using pixel-to-pixel display prior to enlargement. 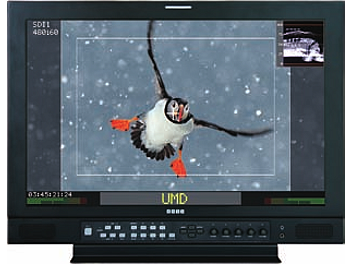 A wide range of parameters are available for on-screen or remote adjustment.